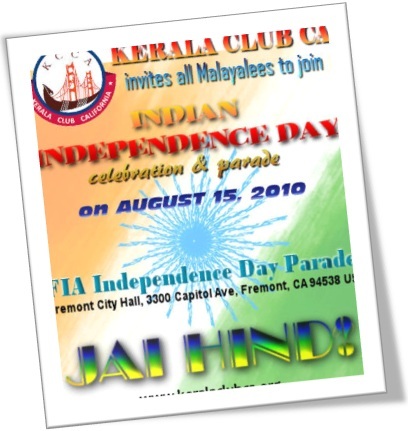 Kerala Club California wins Best Appearance prize at FIA Independence Day Parade 2010! Kerala Club California participated in this year's spectacular Independence Day parade and represented Kerala with our "Harmony Boat!" We are excited to join the celebrations and winning the first prize for the BEST APPEARANCE award! The Malayalees of the Bay Area joined hands and became part of this celebration by representing Kerala and showcasing our unique culture. We are humbled and honored by the outpouring of support from our community leaders and the Malayalee community at large. Without your help this wouldn't have been possible. Please find a picture slideshow from the parade at this link. Please find news and picture slideshow at this link.